Product #60711 | SKU OR-655 | 0.0 (no ratings yet) Thanks for your rating! 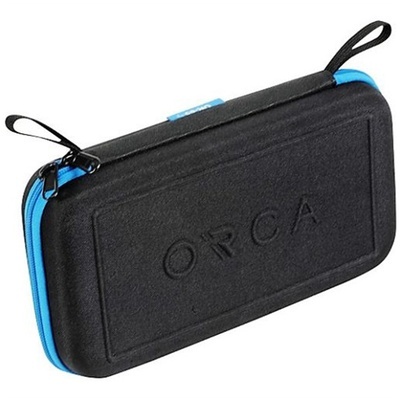 Store, protect, and transport your audio, photo, video, and computer accessories in the black X-Small Hard-Shell Case from Orca. The Orca X-Small Hard-Shell Thermoforming Case (Black) stores, protects, and transports your audio, photo, video, and computer accessories. Arranging gear to your liking is easy with the elastic straps and a removable clear mesh zip pouch under the lid. Constructed with thermoforming boards and a honeycomb frame, the bag provides 360° impact protection. It features a dual metal zipper which facilitates easy opening and closing. Carry it with the external loops.